Compare Prices From Santa Clara Limousine Companies and Save Up To 25% On Rentals! Did you know that we are the go-to resource for limousine services in your city? Price4Limo has access to the largest fleet of limousine rentals in the Santa Clara ,CA area including makes and models such as Chrysler, Lincoln, Mercedes, BMW, Ford, & Chevorlet. Most limousine rentals have incredible amenities for your enjoyment. Hire a phenomenal limo service in Santa Clara, CA from Price4Limo! When you are seeking a Santa Clara limousine service, car service, or private town car, Price4Limo brings you the best fleet with loads of options. The fleet of limousines for hire includes multiple rides for our clients. Transportation services given by every chauffeur will let you have a fun time with co-workers as well as other guests. Book online here, or reach out to us right away to make a reservation for a private car and chauffeur service near you. Limos serving Santa Clara County and all surrounding areas. Call customer support for a quote 855-458-7002 or book online now! The black chauffeured sedan service should be your ride to corporate events, airports, or any important occasion. Hiring a Lincoln town car is better than using a taxi-cab. With a lot of legroom, reading lights, and leather seats, the Lincoln town car is an ideal replacement for stretch limo rentals. Get a quote today! Our black chauffeured car service should be your best transportation solution for corporate meetings, private airports, or any significant occurrence. Booking a Lincoln sedan is better than riding in a taxi-cab. With a lot of legroom, dim lighting, and comfortable seating, the Lincoln Towncar is a perfect replacement to limousine rentals. Review the hourly prices right now! This black lincoln stretch limousine has plenty of leg room for you and your guest to enjoy themselves while on the road. Win over your co-workers with this black stretch Lincoln limo rental. This limousine rental includes updated characteristics. Stretch Lincolns make the ideal limo rentals for prom and bachelorette parties. Our Lincoln limousine is satisfactory for kings, queens, and knights. These vehicles are way better than nearby limousine companies. what is the hourly cost for limousine service? Contact us for discounted rates. Limo deals may be available in your zip code. Tell your relatives right now and split the costs! Demonstrate your appreciation for your friends with this black Lincoln limo. This limo includes the latest interior amenities. Stretch Lincolns can be the ideal ride for birthdays or bachelorette parties. Our limousine services appropriate for kings, queens, and knights. Our rentals are way cleaner than other limousine businesses in the area. What are the prices for the Lincoln limousine? Make a reservation online for prices and specials. Limousine discounts might be available in your state. Invite your friends and family straight away and split the costs. 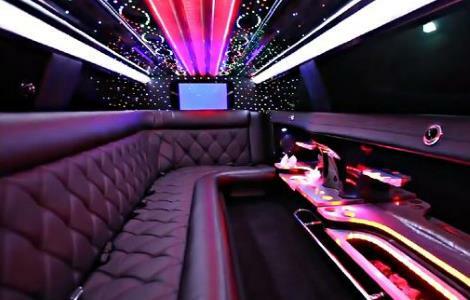 Roomy distinguished Stretch Limousine comfortably holds up to 10 people in luxurious split leather seating facing a beautifully illuminated bar. The vehicle features an audio-visual system with CD player, DVD and TV monitor; I-Pod connection in the cabin, security partition, speacial lighting and full bar set up. White Lincoln limos are extremely less expensive in your area. This limousine rental has the latest characteristics for engaging relatives. Stretch Lincoln limos could be used for weddings or football tailgating! Exclusive limo rentals are available at all times for corporate transportation. Our fleet also includes pink limousines. Check rates online now. Hot specials today only! Contact us now. We are the favored limo company for point to point services. On the prowl for discounted Chrysler 300 limo rentals? Check out exterior images of this tuxedo Chrysler 300 rental on our site. Limo rentals offer the ideal service for airport rides as well as proms. 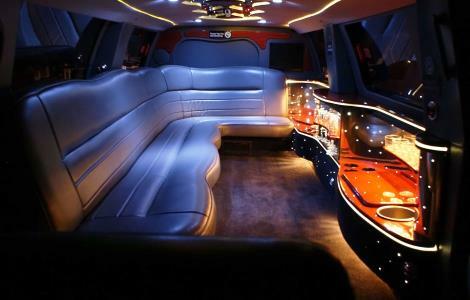 This limo rental contains first-rate interior components for entertaining visitors. Reserve this vehicle before it's gone! Also view our classy vintage car services. How much are limo service prices? View hourly rates here. Limo deals might be available in your state. This 10 Passenger Sprinter has comfortable seating for all passengers and room for luggage. Our sprinter is the newest vehicle available for hire with a professional operator. Each sprinter has either shuttle seats or limousine style seating. Select the sprinter bus rental that is best for your family. Sprinter buses are the absolute best automobile for casino rides as well as bachelorette parties. Hire a sprinter van & get thrilled to have fun this afternoon. Get pricing for this van instantly. This Expedition Limousine comes with comfortable seating, television, bar, and surround sound with CD/AM/FM/DVD player. The white Escalade limousine service is one of our most popular rides! Equipped with updated amenities to jump start your event. This limo service is ideal for parties for children, wedding guests, and airport shuttles. Get a quote for limousine service rates today. 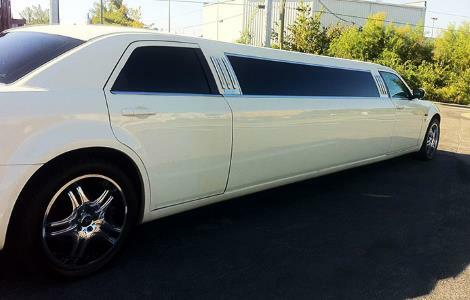 Rent this Cadillac Escalade limousine online! 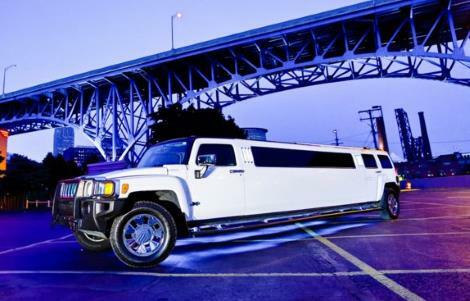 This fantastic white Hummer limousine service is the top choice for all special events. This rental is really popular. Hummers are wonderful for wedding celebration transportation, prom dances, and birthdays. You will most definitely appreciate the limousine service in a Hummer due to the fact that it is roomy and fun for corporate outings. Check out cheapest rates for this stretched Hummer in your area! This Hummer Limousine comes with comfortable leather seating, bar, television, special lighting, and surround sound with CD/AM/FM/DVD player. 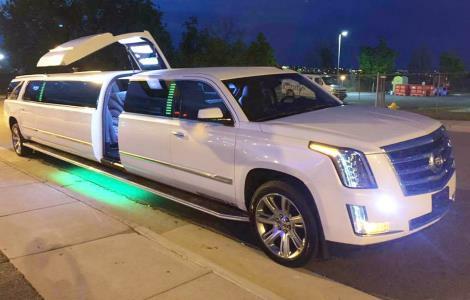 The white Cadillac Escalade limo is one of the amazing suv limos! Equipped with stunning amenities to kick off your event. This limousine service is suited for parties for children, wedding parties, and airport rides. Get a quote for limousine rental pricing here. Book this Cadillac Escalade limousine here. This Escalade comes with special lighting, bar, surround sound with CD/AM/DVD/FM player, comfortable seating, and much more. This Party Bus features comfortable seating, flat screen televisions, surround sound with CD/AM/FM/DVD player, mood lighting, strobe lighting, and bar to enjoy as you travel. 20 Passenger Black Party Bus - wet bars, TV with VCR/DVD, fiber optic neon light show, mood lighting, overhead cabin lighting, rear storage compartment. Party Bus Rentals will be your most enjoyable shuttle service for every special event. Woo your loved ones, or associates with the best amenities inside this cheap limobus for hire. Book online and get discounted pricing. What are the limousine bus hourly costs? View discounts here. There might be special prices for longterm limo bus reservations. Contact us for additional information. Making a reservation for a partybus is simple. The white Cadillac Escalade limo service is one of the best suvs! Packed with spectacular amenities to crank up your special occasion. 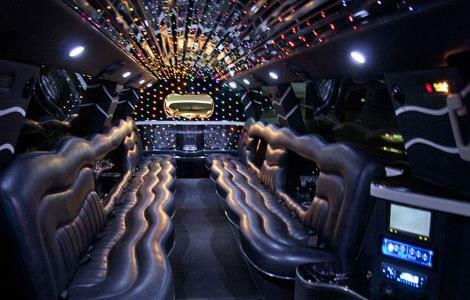 This limo rental is ideal for kids parties, wedding guests, and airport shuttles. Get a quote for limo rental hourly costs right here. Make a reservation for this Cadillac Escalade limo service online. 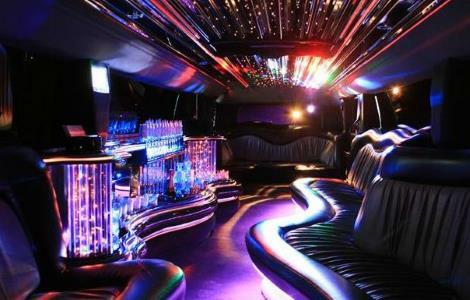 20 Passenger Pink Excursion Limo - VIP lounge, large bar areas, stereo with CD changer/iPod connector, 3 flat screen TVs, fiber optics, laser light show. If you are planning a fabulous special event and are looking for a luxury limousine, check out the pink stretch Excursion limo. Our pink stretch Excursion limo rental is a luxury ride for you and your significant other. From comfy seating arrangements to minibars, this limousine has it all. Whether you have to drop off relatives from the local airport or require a practical vehicle to start your bachelor celebration, our stretch Excursion limos are a budget way to have a blast! Sit back and relax in this party bus which features comfortable seating, dance pole, special lighting, and surround sound with CD/AM/FM player. This Mini Bus comes with reclining seats, arm rest, and comfortable leg room space. For passenger entertainment a 20 inch flat screen at the front is available to play DVDs and CDs. Shuttle bus rentals will be the top transportation for mid-sized groups. If you need to transport a fraternatiy across town, shuttles are the way to go. Shuttle style rentals offer airport pick up and drop off service. Most shuttles have space for everyone's luggage. Our rides are also booked for birthday parties and many more events. Reserve a shuttle today. 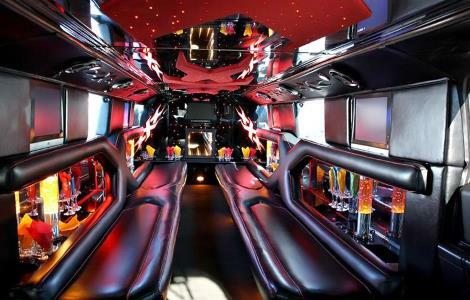 This 27 Passenger Black Party Bus comes with comfortable seating and room for luggage. A shuttle bus will be the go to transportation for big groups. When you need to transport a sorority to a new city, shuttle bus rentals are the best rental. Shuttle buses offer airport pick up and drop off service. There is room for luggage. Our bus rentals are also used for business transportation and a whole lot more. Hire a shuttle bus rental here. 28 Passenger Black Party Bus - wet bar, coolers, PA system, TV w/ VCR/DVD, fiber optic lighting, mood lighting, overhead cabin lightning, rear storage compartment. Limobuses are the only transportation solution for a bunch of people. Party busses in your town can be reserved on our website. From wedding transportation to bachelorette parties, big limobus rentals are the ideal option. Prepare to have a spectacular time with your guests. Most limo buses have comfortable seating, multiple TVs, and amazing stereo systems. Get this astonishing limobus rental on our site! Reserve now to get most affordable rates. Reserving a cheap party bus hasn't been this simple. 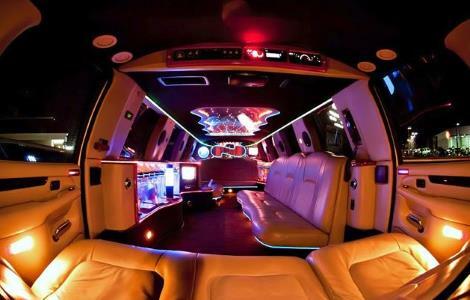 This Party Bus features fiber optic lighting, television, and surround sound with CD/DVD/AM/FM player. Making a reservation for a cheap partybus couldn't be simpler. 32 Passengers Limousine buses are the only ride for lots of passengers. Party buses in your town should be booked online. From wedding parties to prom, large limobus rentals are the best transportation. Get excited to have a terrific time with your friends. Most limo buses have comfortable seating, TVS, and outstanding stereos. Get a quote for this phenomenal limobus rental online! Make a reservation here to get best prices. Party Bus comes with comfortable leather seating, special lighting, surround sound with CD/AM/FM player, and two televisions. White 32 Passenger Party Buses will be your go-to ride service for each and every occasion. Satisfy your guests, or colleagues with cream of the crop features inside this affordably priced limo bus for hire. Book online and receive the cheapest rates! What are the limo bus hourly prices? View rates right here. There could possibly be coupons for weekday limo bus bookings. Call the reservation department for more info. Reserving a limobus is easy as cake. This Motorcoach features overhead storage, video screens, luggage compartment, reclining seats, P.A. system, and stereo system with CD player. This 47 Passenger coaches come equipped with amenities and technologies to provide the most rewarding travel experience possible. This 50 Passenger Shuttle Bus comes with comfortable seating, overhead storage, and televisions to enjoy as you travel. Shuttle bus rentals most certainly will be the go to automobile for mid-sized groups. If you need to move a corporate client on a field trip, shuttle buses are the way to go. In addition, style rentals offer airport transportation. There is room for luggage. Our bus rentals are also booked for bachelorette parties and many more occasions. Reserve a shuttle bus rental here. This Motorcoach comes with reclining seats, overhead lighting, overhead storage, and P.A. system. Our limo service in Santa Clara, California offers customers affordable, reliable, and of high quality transportation. We have luxury vehicles like sedans, limos and party buses. Rent our Santa Clara limousines for events and parties around the city. If you are looking for limousines in Santa Clara, California with specific seating capacities, we have different types of limo brands that can fit your specifications. We have Cadillac Escalade, BMW, Hummer Limo, Stretch Lincoln, Ford Excursion, Mercedes Benz, Lexus, and Chrysler 300. Their seating capacities vary from 8, 10, 12, 14, 20, to 22 passengers. Enjoy the fully functioning features that go with them. Step up your party game by adding a limo service to your entourage. Whether it’s a big launching party at Silicon Valley or a special small gathering at Mission Santa Clara de Asis, you will arrive in your party or event looking like a hundred bucks and as fab as a gem. Corporate Event - You are probably going to the launch of a new startup company—maybe it’s your own startup company! If yes, then own the night with a limo service. Debut Party - You are probably debuting a new artist in your city or unveiling a new service or product in a big Silicon Valley event. Whatever it is, our limo service will make you look good to your guests. Bridal Shower - Spend some lovely late afternoon moments in beautiful Mission Santa Clara de Asis, then ride our limo to your next bridal shower party location. Prom Night - Spend some awesome moments going to your school prom with our limo service. We also have great amenities that will add fun to you and your friends’ ride. You will not have to spend a lot of money when you rent our limos because we have one of the most affordable prices in Santa Clara, California. We offer cheap limo prices per hour. The prices differ based on the number of guests, type of limo services, destination, and duration of the event. We also offer special packages and discounts.Give us a call or fill out the inquiry form available in our website. Santa Clara is located near San Jose City. Many tech companies base their headquarters in this city since it is near California's tech capital, the Silicon Valley. Levi's Stadium has an overall clean vibe with a superb facility, clean restrooms, and free wi-fi. Visitors and locals find great entertainment in this stadium all year round. It mostly hosts NFL games and concerts. California's Great America - California's Great America is a fun filled amusement park with a variety of thrilling rides, including Stealth. It is the park’s new roller coaster that mimics flight. The park is located at Great America Parkway, Santa Clara, California. Mission Santa Clara de Asis was founded in 1777. This historic mission has a peaceful air with beautiful grounds and church. Mission Santa Clara de Asis is located at the Santa Clara University campus.